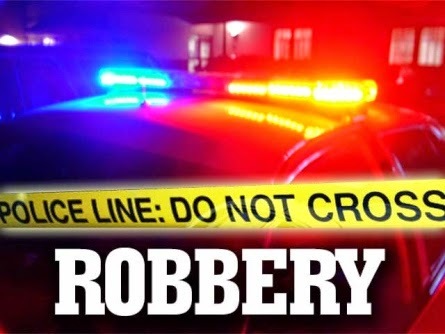 On Saturday, January 24, 2015, at approximately 10:00 p.m., two juveniles were robbed at gun point on the 400 block of Ebony Tree Lane, Galloway Township. Three pairs of Nike sneakers and a cell phone were taken during the robbery. Two suspects, one armed with a small black or silver handgun described as tall thin Hispanic male 17-20 years held the victim at gunpoint while taking the sneakers. Second suspect was the driver, no description available. Suspects fled in a light blue colored Toyota Solara. Anyone with information is asked to contact DSgt. John Kelly, Galloway Township Police Department (609) 652-3705 x321, Atlantic County Crime Stoppers 609-652-1234 or Galloway Township Facebook.